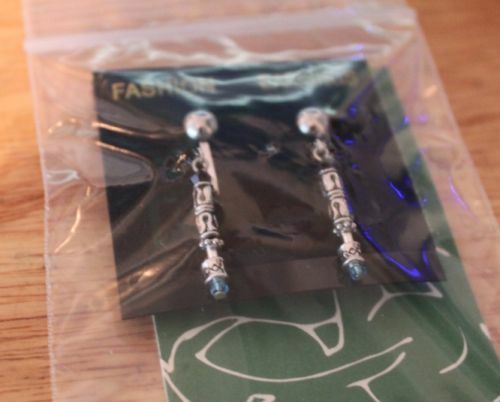 Beautiful Incentives: Dr. Who-Sonic Screwdriver Earrings-9th and 10th generation! 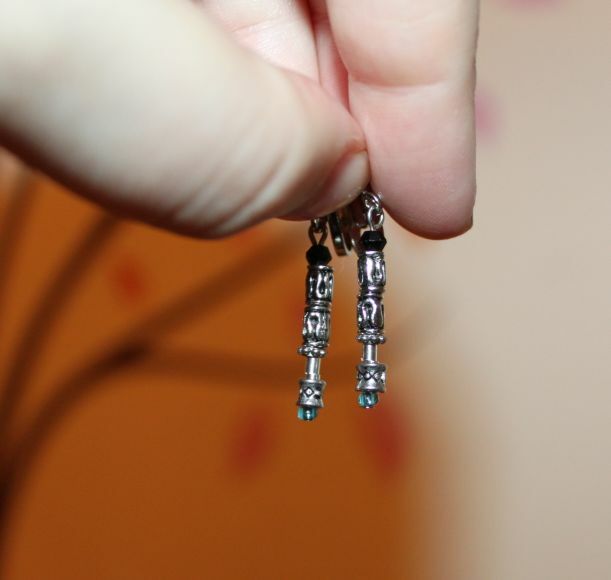 Dr. Who-Sonic Screwdriver Earrings-9th and 10th generation! 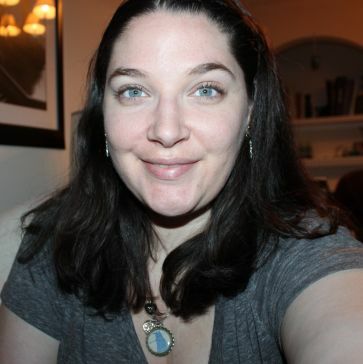 I approached Amber Shrewsberry of Anonymous Wood sprite, to request if I could do a review on a Tardis necklace I had scoped out in her shop. She had better plans. She recommended I review something different. 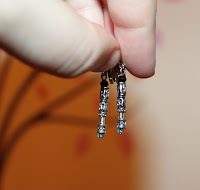 Sonic screwdriver earrings, different. What? Awesome! Time and space did not exist for the mere seconds of electricity between me and those earrings. So creative and unique. They had to be on my ears. Maybe with luck i'd carry the same powers as the tenth doctor, only toted by my ears. How convenient would that be? No need to have pockets. Always there when you need it, easy access for alien eradication. Brilliant. These sonic screw drivers are made with meteorite pieces and mars crust... ok they're not, but they're still awesome. They have a pretty blue that mimics the exact color on the 9th and 10th Generation sonic screw driver. Not too long or big or too short or heavy. Just right for my sensitive earlings. So sensitive that I had to request clip ons. I haven't had my ears pierced in a decade! She does make them in regular pierced earring style of course. They are made super durable from what I can tell and I love them. I can assure you, you will be 1 of very few who will be sporting these. That is until the media spies this and makes a replica in mass quantities! Thank you Amber, for the opportunity to review these and break out of the blahse into the more unique fashion I love. You can also check out her Tumbler at teamTARDIScosplay.tumblr.com for more Who action! And to celebrate this Whopendous occasion, here is a pic of me sporting my very favorite item from my growing Dr.Who collection. 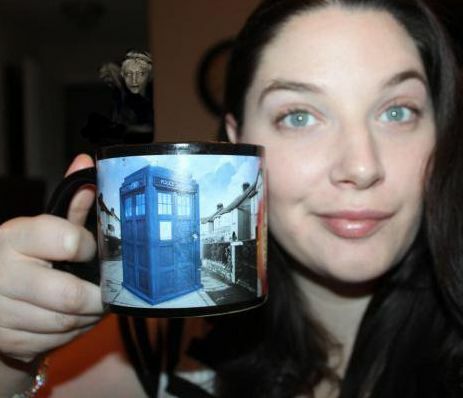 A thermal sensitive Tardis mug that I got from Think Geek. Check it out here. It's only $7.99! How's that for a Beautifully Geeky In¢entive? My coffee never gets cold! I just travel back in time to keep it warm! I also never have to refill the cup! Pay no mind to the figure in the background, just keep calm and carry your coffee. Be sure to drink enough so you DON'T BLINK!! I've got more whovian excitement, just wait! Also, don't forget about Small Business Day-Nov 24th-TODAY! Consider buying from small businesses vs. mass made! Why not contribute by making a purchase today? Beautiful in¢entives abound for all this holiday and i'm a little too excited! Annnnd a Giveaway for one lucky winner to have their own pair in their choice of clip on or regular: 4th, 9th & 10th generation or 11th! Good Luck & Happy Holidays! Allonsy! Click the Giveaways link to enter! I really like those earrings. Very pretty! I love your Dr.Who stuff reviews. You can tell you have a passion for Dr. Who and it really brings out the creativity in your writing.